The Marlink Group is the world’s leading provider of end-to-end managed connectivity and IT solutions. Based on over 25 years of experience in providing quality, high-speed maritime VSAT services, Marlink Maritime empowers day-to-day business operations for shipping and tanker companies, cruise lines, ferries, yachts and fishing boats. Fundamentally, Marlink is an internet provider for users at remote locations. Its activities to supply and install the equipment – such as antennas and modems – needed to establish connections are basically just enablers for that connectivity. Speed of response and cost control of the physical supply chain are essential to optimally support the business. Marlink has asked Involvation to conduct a quick scan and to help develop a road map to build the required supply chain capabilities. Stryker is one of the world’s leading medical technology companies and is active in over 100 countries. The company offers a diverse array of innovative products and services in Orthopaedics, Medical and Surgical, and Neuro technology and Spine. 2016 revenues amounted to approx. €10bn and the company is rapidly realising its growth ambition of €20bn in 2021. Stryker operates 41 factories and sells approx. 128.000 different products. In order to further professionalise its new and centralised global Supply Planning function, Stryker asked Involvation to help develop a global competency and skills framework. Initially the framework will be used to identify the main training requirements per business unit. Over time the use will be extended towards personal development and learning programs, recruitment and the development of structured career paths. The framework has been developed together with a small core team. It has been signed off and will be piloted in a number of business units early 2018. Schneider Electric is a global specialist in energy management and automation; the company develops connected technologies and solutions to manage energy and processes in ways that are safe, reliable, efficient and sustainable. The group is present in over 40 countries and employs around 160,000 people. For a number of plants in Europe, Schneider Electric is keen to understand the training requirements to bring its planners to the desired level in terms of supply chain knowledge and competencies. Involvation will conduct an assessment of the current situation among the planners concerned. The assessment will identify the training requirements both for conceptual supply chain knowledge and for SAP-related competencies. Schneider Electric has also asked Involvation to design a tailored learning programme based on the findings from the assessment. Nissan Motor Parts Europe serves the after market in EMEA with original Nissan accessories and spare parts. Therefore it has listed over hundred active parts. The majority of these parts can be qualified as slow mover. To guarantee service levels while at the same time control costs and working capital Nissan is continuously looking for ways to improve. 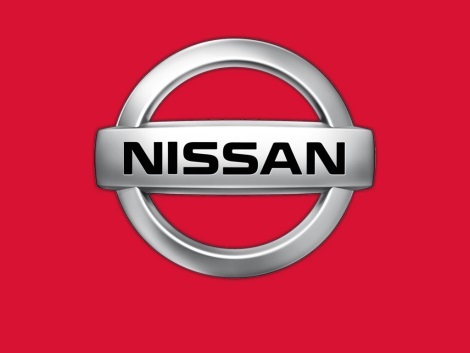 As part of this process Nissan has asked Involvation to train the inventory planners.